During my 13 years of experience in and around the fitness industry I have adjusted my approach and focus based on what I thought was important. When I was younger, I focused on lifting the heaviest weights possible, in my mid 20's my focus turned to "functional" and "core" training. By the time I reached my early 30's I realized that the human body is more complex and focusing only on big movements wasn't always the key to improving the body. I started to break down the movements and isolate the smallest muscle to get a better understanding of what muscles' were not "firing" and address that issue. Throughout my years of experience I have concluded that all of the elements are important and can be used to train many different bodies. There is no one way to get a result, there are multiple approaches you can take and an understanding of those different approaches is now what I am able to provide. You may need high intensity lifting to reach your goal or it could be a specific weak muscle that is causing you pain, what ever your goal is I can get you there. I have been working in the fitness industry since 2007. Throughout my time training I have worked to improve my client's body composition, movement patterns, and function/strength. I enjoy the art of program design and love working with various personalities where I can apply my skills to improve the quality of life for each and every client. I continuously educate myself and strive to achieve more to provide my clients with the best results possible. As a BioPrint practitioner I can provide both training and nutrition support! Growing up as an athlete (playing varsity soccer among other sports) I found that I was constantly competing with myself. I desired to be strong, lift heavier weights, run faster and improve my flexibility. If I didn't feel like I was challenging myself, it simply wasn't good enough. Reflecting back, I realize that I was missing the mental aspect of training. This is the part that allows you to accept your current reality and be compassionate with yourself. Acceptance of your current reality and experiencing the ups and downs of the journey to bring about change is an exciting part of the mental aspect of achieving your goals. Training and physical activity have been passions of mine from an early age. I worked as a personal trainer and massage therapist in my native home of Barbados before leaving for the University of Toronto to pursue a degree in Kinesiology. After finishing my degree, I was fortunate enough to work as a sessional lecturer in that same faculty, and discovered a new passion- educating and sharing ideas with new generations of fitness and movement professionals. I am currently pursuing a Master's degree in Exercise Sciences and am passionate about bridging the gap between the academic world and the fitness industry. I've worked with a range of clients, from Olympic and Pan-Am athletes, to clients with specialized movement restrictions, to people working to combat the negative effects of a sedentary lifestyle. I've come to understand that in order to achieve the benefits of any exercise program, you need a foundation of proper movement. As a result of the pervasiveness of desk jobs and a general lack of movement variety, many of us lack the capability to effectively move ourselves in the ways that will get us the results we want (no amount of bicep-curls will get you bigger arms if your back is doing all the work!). In reaction to this, many programs today make us choose between movement quality and a demanding workout. My focus for the last five years has been to blend these two into a cohesive whole-progressively building my client's mechanical capacities to provide them with increasingly diverse options to safely and effectively challenge themselves metabolically as well. Sports have been a big part of my life ever since I can remember. Playing for various football (soccer) clubs from the age of four and martial arts from the age of ten. Even though my love for sport was evident from a young age I never considered a career in fitness until I moved to Australia where I accidentally came across a fitness course at the Fitness Institute of Australia which seemed like a great path to take. Ten years later I am as passionate about fitness as ever. I have had pleasure of working with amazing athletes along the way, being mentored by outstanding sportsmen and training alongside them. The experience gained over the years have been invaluable, molding the style of my training to what I believe works in the long term for my clients. My philosophy is largely based around sports. I have been taught to break down the athletes ability in performing their discipline, analyse what is required of them to perform the movement effectively and develop a plan to address issues to facilitate success. Even though we are not all athletes I believe the same approach can be used for my clients looking at what is needed to be effective in our daily chores and activities, Largely addressing what is needed to stay pain free and healthy, enjoying life along the way. I believe the goal should always be to feel good and a great looking body comes as a reward for the hard work. Every day, movement (or a lack thereof) is such a crucial and integral part of our lives. Moving better means having the tools to deal with or completely eliminate chronic pain, reduce stress, sleep better, build muscle, reduce risk of disease and most importantly have the physical freedom to do anything you want. The idea of being able to help people move better is something that sparked my passion and led me along my path as a strength and flexibility coach. As long as I can remember, I have always been on the go, trying out different sports, trekking through forests, rock climbing, and spelunking through caves. I found joy and accomplishment in being able to participate in any type of sport or activity I set my mind to. This led me to try a variety of movement disciplines including dance, swimming, waterpolo, cycling, snowboarding, tennis and martial arts. I have always been fascinated with movement, fitness and the potential of the human body to change, adapt and overcome all kinds of obstacles. Coming from such a varied, active background, I have realized that there are foundational concepts that are prevalent throughout all movement practices. Good movement, flexibility, mental focus and proper practice are integral to get effective results, and gain the independence and confidence both within and outside of the gym pursuing the activities you love. To further my knowledge, I pursued an education at the University of Toronto in the study of Kinesiology. Since then, I have been fortunate enough to have the opportunity to share my knowledge with my clients and develop their repertoire of movements to help them achieve their fitness goals. My mission is to bring up the quality of care and information in the fitness industry, and I am currently involved in teaching aspiring fitness professional so I can pass on my knowledge and create positive change in the field. I have seen and experienced first-hand how the right attitude, motivation and fitness program can significantly transform one’s life and these are qualities I instill and live by each day. There is more than one way to achieve a goal, and there needs to be flexibility and individualization in every approach. I believe in moving and working out with a purpose. We need to be mindful, and listen to our bodies when we exercise. In the modern day lifestyle, it is all too easy to lose this mind-body connection. I will teach you how to take care of your body, utilize your strength, incorporate flexibility, and practice effectively in your training routine to surpass your fitness goals, rebalance your movement and your life. I have been involved in athletics and fitness since I was first introduced to swimming at the age of 10 months by my grandma. From then on, I’ve had a passion for striving to achieve my physical and mental best in everything that I set out to do. With a love for learning and 7 years experience as a competitive champion rowing athlete and coach, I have come to trust that ‘knowledge is power’ when it comes to aiming to achieve one’s goals: motivation to achieve any goal requires physical, as well as mental focus and dedication, which ultimately all begins with the need for knowledge. My versatile knowledge-base has allowed me to work with clients ranging from young athletes to elderly cancer-survivors. Along with friendship, I provide fitness education and lifestyle consulting through offering functional training for every-day life specific to occupation and past-time activities, strength training and nutrition for fat-loss, nutrient supplementation protocols, as well as back and core stability training to improve posture, balance, physique, and confidence. With a BFA and MA, my academic background is in art production as well as art and architectural history and conservation. I turned to the field of personal training after experiencing a life-altering loss in my family when I decided to re-assess my life goals and my career. Inspired by my own personal trainer at the time, I discovered I had an intense yearning for directly improving the quality of lives of others around me to live their best lives. Becoming a personal trainer has allowed me to inspire and motivate others to adopt a balanced lifestyle and holistic wellbeing (mind/body/spirit) in order to manage life’s inevitable stresses and hurdles on the road toward achieving one’s goals. When I am not training, I love spending time connecting with nature and continuing to keep up with my artistic practice in oil painting and photography. I am also currently pursuing a diploma in Applied Holistic Nutrition to become a Certified Nutritional Practitioner from the Institute of Holistic Nutrition. I have been working in the fitness industry for 12 yrs. I started out in customer service and administration but after participating in my first group fitness class I quickly realized I was on the wrong side of the business. 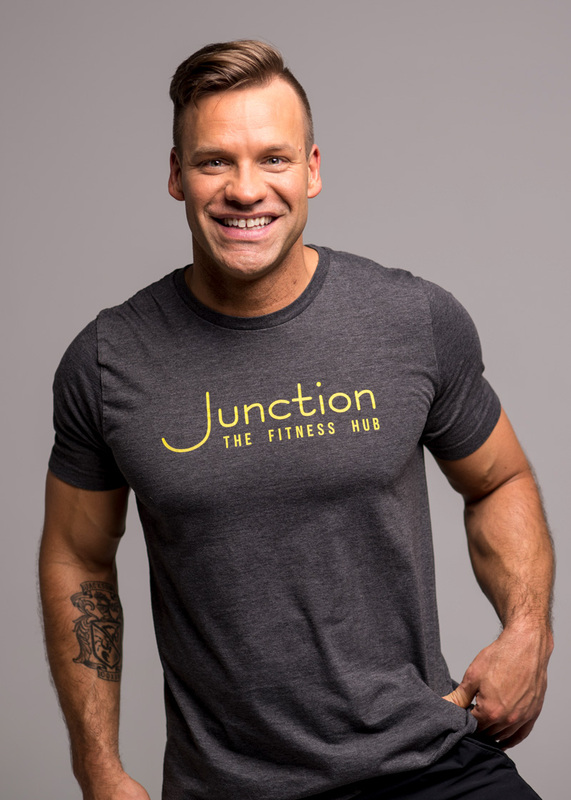 Group fitness inspired me to become a fitness instructor and then a certified Fitness Instructor Specialist with Canfitpro. I have been teaching classes for over 11 years now. I love to coach and motivate people to become better versions of themselves in high energy group environments. I have been active and involved with sport and fitness since I can remember, and even before that. I started figure skating when I was 4yrs old and didn’t leave the ice for the next 18yrs. During my childhood and teen years I also played on many select and house league sports teams. During university I developed a passion for running. I ran mostly to stay active and fit. It wasn’t until later in my life I started goal setting, challenging myself and running races. I recently completed a relay run from Toronto to Montreal, personally running over 50km. In addition to teaching group fitness classes, and setting fitness goals, I have also have had many personal trainers over the years. They have taught me how move my body properly, the importance of mobility and how to strength train. I have transferred this knowledge into my group and team training classes. My passion is motivating people to do their ultimate best.